You did it! You’ve driven to the DZ (almost) every weekend, waited out weather, learned how to pack a parachute, and skydived solo. 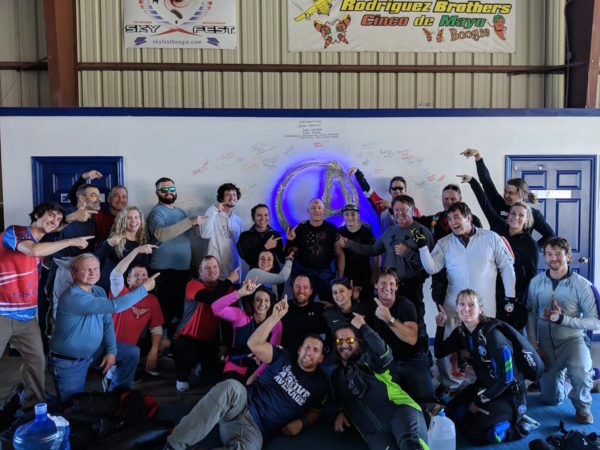 YOU ARE NOW A LICENSED skydiver, and most instructors will say, “You’ve earned your license to learn.” Earning your license is a big goal and dreams come true. But if you’ve just begun, what happens next? Once you earn your license, there is a whole new world of opportunities. However, a skydiving license is like a gym membership. You will only get results if you go! The first step in maximizing your financial investment to this sport is to make a commitment to keep showing up, continue to discover the many great disciplines, events and camps, continue to be safe, as well as create a life-long community of incredible people that share the passion of the sky. Each skydiving license has a unique set of requirements to achieve, and each offers a distinctive set of privileges. Along with those privileges also comes responsibility with skydiving currency. This is primarily for safety as techniques, house rules, or equipment changes may occur in short periods of time. Skydiving currency is also important as things happen faster and being sharp on procedures helps with dealing with any out of the ordinary circumstances. So how long does a skydiving license last? *This Skydiving Currency Chart is a guideline. 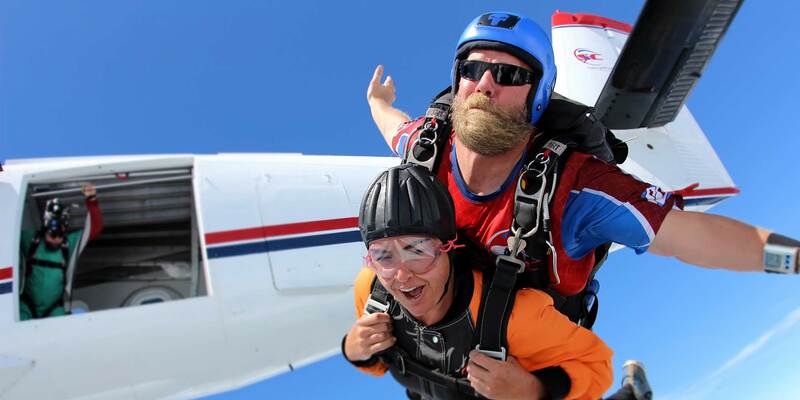 Skydive Carolina reserves the right to act within their discretion regarding the safety means to make a currency jump. When you’re ready to get current again, you will need to bring your logbook to verify your experience, date and location of your last jump. If you most recent jump was not at Skydive Carolina, we will verify with the dropzone of your most recent jump. Also be prepared to renew (if you haven’t already) your USPA Membership as that is a must-do to jump at Skydive Carolina! What If I Haven’t Jumped in Years? If you’re a jumper who hasn’t jumped in 5 or 10+ years, you are still considered a licensed skydiver – even if you have an A, B, C, or D license. However, you will need to call our office to schedule time with an instructor as we consider long layoffs on a case-by-case basis to get back within our skydiving currency requirements. You could say that a skydiving license lasts within our recommended currency requirements before you need to take next steps getting back into the sky again. Even though the table recommends a few months in between jumps, the more you jump, the more you learn, discover and start to conquer the fear. Long layoffs almost feels like starting over and may be overwhelming. That’s why the intention of skydiving currency is to keep you safe and on top of your game. 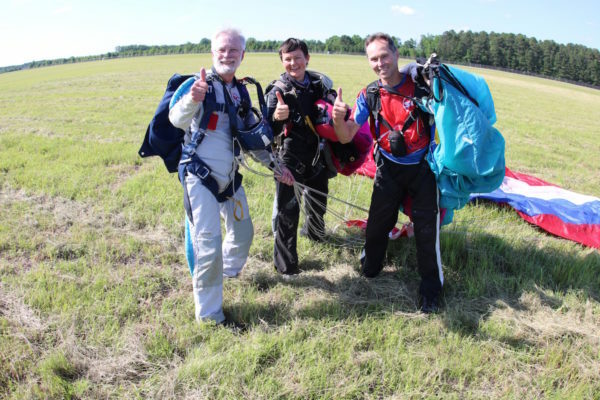 At Skydive Carolina, your safety and longevity in the sport is our priority. If you’re feeling a bit burnt, we recommend reading our article How to Beat the Burnout which outlines goal setting to inspire next steps in the sport. Do you need to get current? Give us a call and we’ll be ready to welcome you back to the skies! Related Article: What Can I Do with Each Skydiving License?